This mischievous puppy has found a way to get noticed! 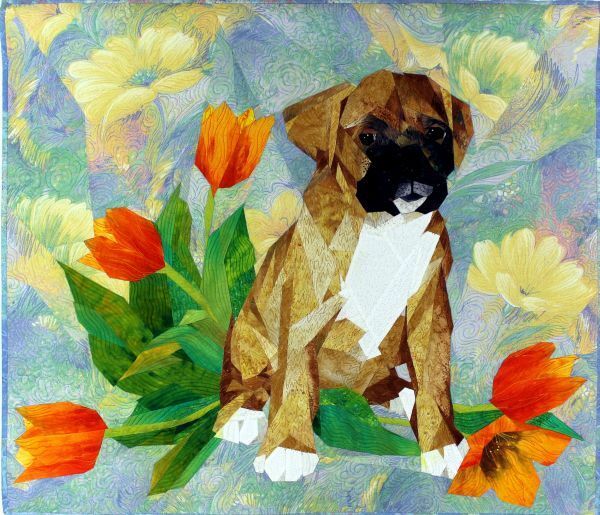 As a gardener AND a dog lover, Powers says she has been there, done that and, as an art quilter, just had to piece this whimsical puppy whose photo she took one day. The tulips were added from her imagination, so she had a combination of a photo and a sketch to work from. The fabrics are both commercial prints and hand dyes.